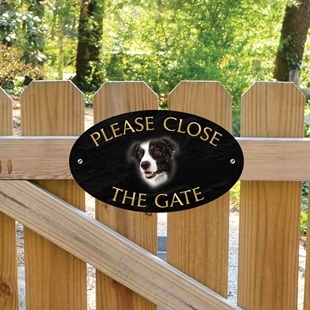 The sign is a printed stone effect in a choice of colours and has an image of a Border Collie displayed on it with the text PLEASE CLOSE THE GATE. 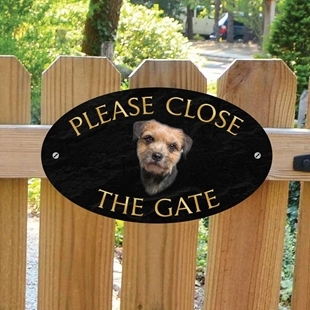 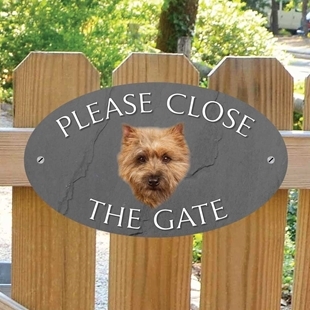 The sign is a printed stone effect in a choice of colours and has an image of a Cairn Terrier displayed on it with the text PLEASE CLOSE THE GATE. 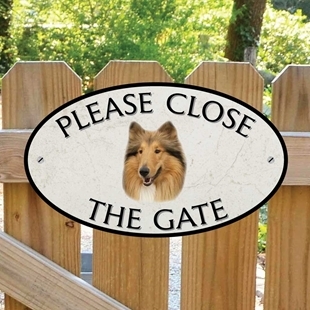 The sign is a printed stone effect in a choice of colours and has an image of a Rough Collie displayed on it with the text PLEASE CLOSE THE GATE. 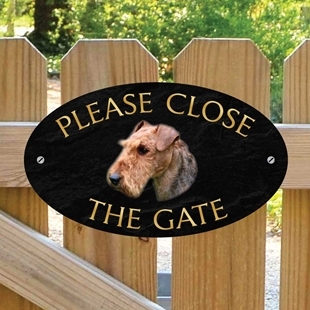 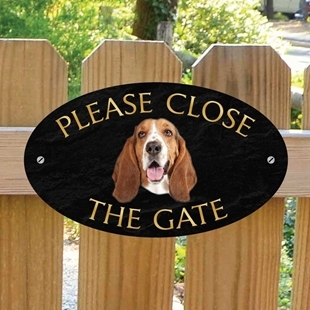 The sign is a printed stone effect in a choice of colours and has an image of a AIREDALE TERRIER displayed on it with the text PLEASE CLOSE THE GATE. 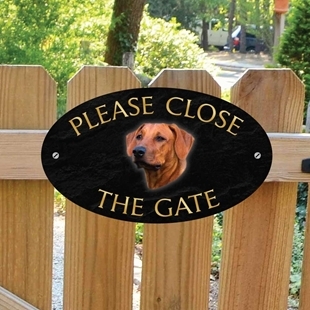 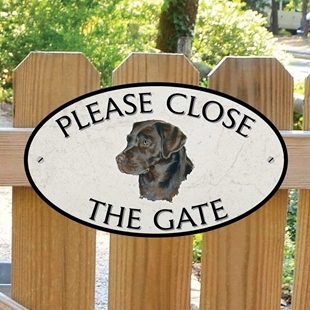 The sign is a printed stone effect in a choice of colours and has an image of a BROWN LABRADOR displayed on it with the text PLEASE CLOSE THE GATE. 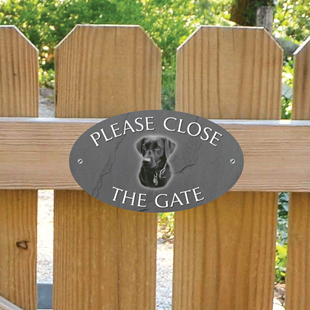 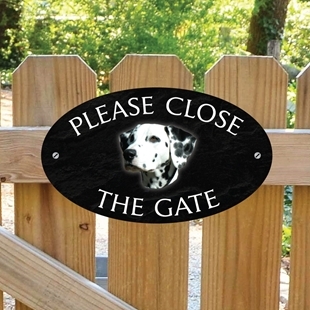 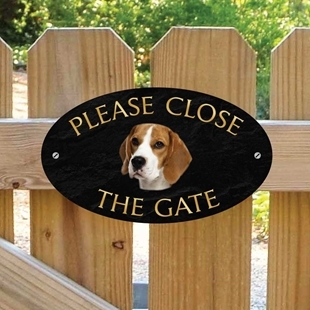 The sign is a printed stone effect in a choice of colours and has an image of a BLACK LABRADOR displayed on it with the text PLEASE CLOSE THE GATE. 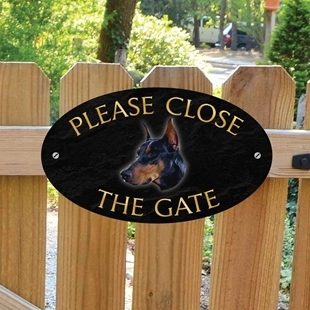 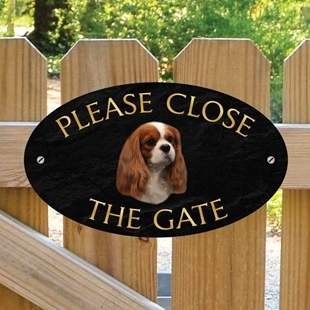 The sign is a printed stone effect in a choice of colours and has an image of a GERMAN SHEPARD displayed on it with the text PLEASE CLOSE THE GATE. 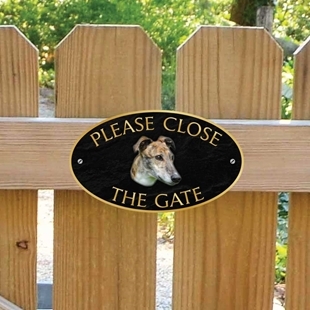 The sign is a printed stone effect in a choice of colours and has an image of a GREYHOUND displayed on it with the text PLEASE CLOSE THE GATE. 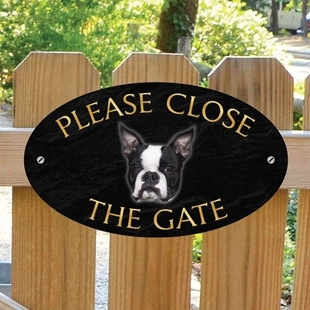 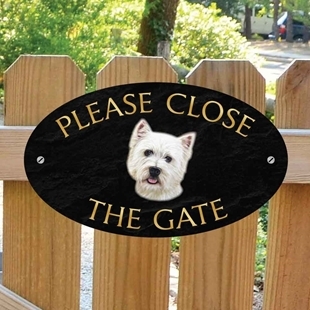 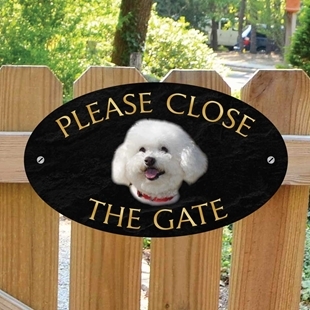 The sign is a printed stone effect in a choice of colours and has an image of a WESTIE displayed on it with the text PLEASE CLOSE THE GATE.